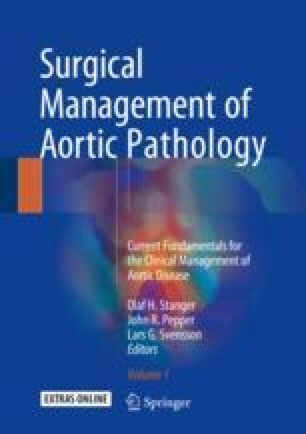 Acute aortic syndrome (acute aortic dissection, AAD; intramural hematoma, IMH; and penetrating atherosclerotic ulcer, PAU) is a disease entity which possesses high mortality rate during the acute phase even in the current era. AAD, especially, has a broad variety of symptoms at onset, and frequently its diagnosis is delayed resulting in worse prognosis. Development and improvement of biomarkers have been pursued to enable the early diagnosis of AAD at “point of care” for immediate decision for further imaging or discrimination from other diseases such as coronary artery disease or pulmonary embolism.